MindfulEater, have you ever fallen off the wagon, indulged in too much rich processed food and gained some weight? You're not alone! It happens to all of us at some point. The fastest way to fit back into your waistband is by watching your diet. 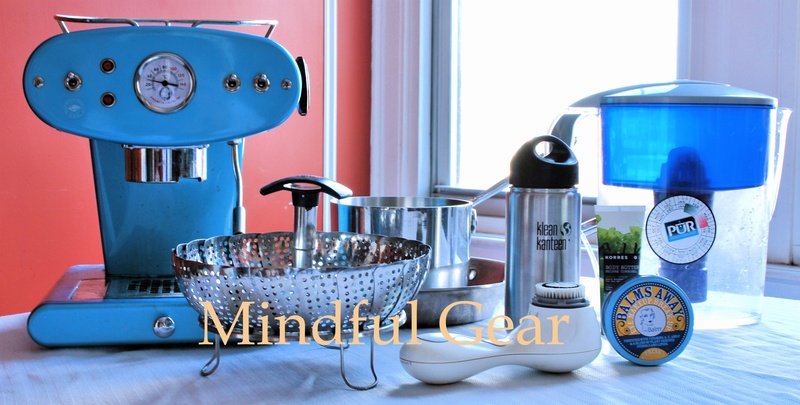 It''s time to start/restart some mindful eating habits, and there's no time like now. Fortunately, it's summer so that makes eating unprocessed food easier. Eat more vegetables. It's August so you now have your widest choice of vegetables for the year. They also happen to be at their cheapest and most delicious. Fill up your cart with zucchini, greens, eggplant and corn. A simple grill or sauté will suffice. You can also eat a lot of vegetables raw (even fresh picked corn). Make zoodles (zucchini noodles) to replace noodles or rice. Zoodles can be eaten raw, boiled or sauteed. Load up your fruit bowl and refrigerator. Just like vegetables, fruit is in its prime! Eat as many luscious peaches, nectarines, berries, cherries, (whatever looks good), as you want! Eat watermelon or a big stone fruit (or two) before meals to fill you up. Snack on fruit only. Berries for dessert will satisfy your sweet tooth and make you more svelte than that bowl of ice cream! Don't cook more than one item per meal. It's hot so you don't want to spend a lot of time in the kitchen anyway! (By the way, this rule counts even if you didn't cook the item - like a loaf of bread) If you want to make a burger or egg and use it to top your salad, that's perfect. Or boil some pasta to throw in with tomatoes and basil. Maybe some brown rice to mix with zoodles, spinach and sesame salad dressing. Make a juicy sandwich with avocados, tomato and hummus. By limiting your cooking to one item, you will be forced to eat more fresh plants, which will help you get on track. Cook large portions and use it throughout the week to save time!